The Mandelbrot Set is a mathematical fractal defined by the recursive formula z = z^2 + c, where z and c are complex numbers. 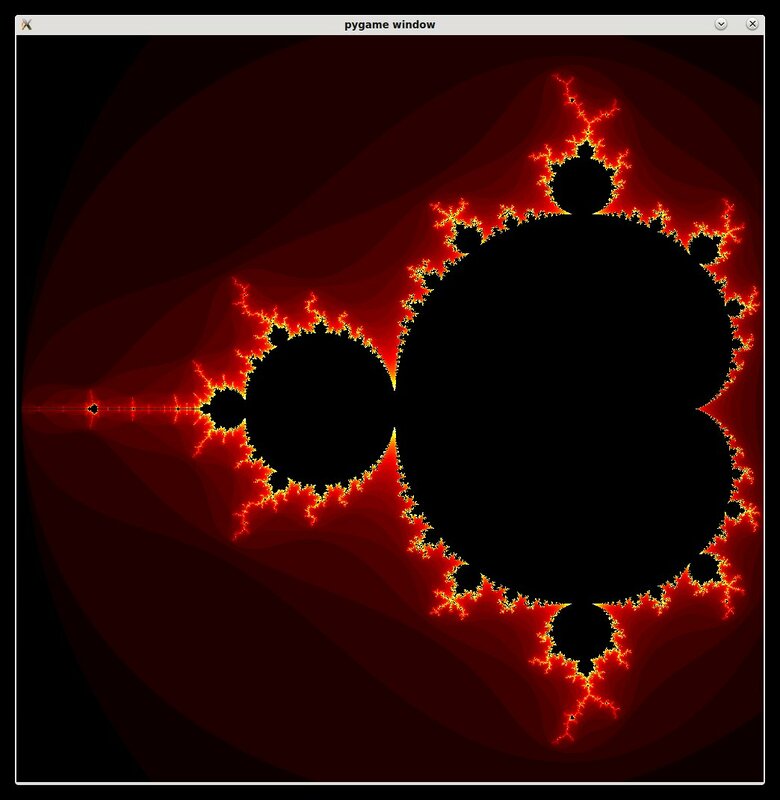 This Python program plots the whole Mandelbrot set, making use of some optimisations. MIT License. Available on GitHub. 1 compute only top half, mirror it. 2 don't compute set inside the big circle and a couple of smaller ones.